The Spanish Coffee is a coffee cocktail that features Licor 43, an uncommon liqueur that tastes of vanilla and spice, with distant hints of citrus. This recipe calls for 2 parts hot coffee and 1 part Licor 43. This drink is predominantly bitter from the coffee, but with strong overtones of vanilla and spice. And also the sweetness from the whipped cream. 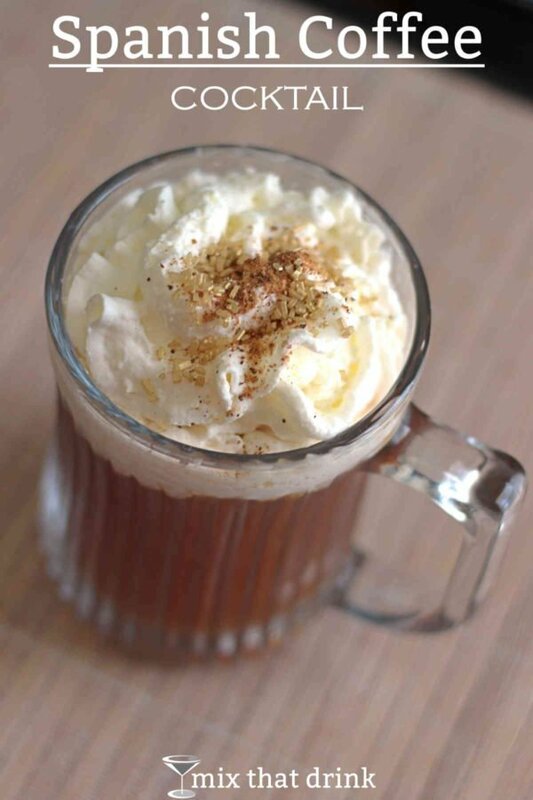 It’s a very cozy drink, great for after dinner or enjoying on a chilly evening. It’s especially perfect for when you’re snowed in, but don’t wait for cold weather. This is a perfect replacement for an evening coffee. In a drink like this, you can use any kind of coffee you like. My personal favorite is Community Coffee’s chicory blend. Adding chicory, a bitter herb, to coffee is a New Orleans tradition. It gives the coffee richer flavor, which makes it delicious on its own or in cocktails. But if you need to stick to decaf, the most delicious one I’ve found is Melitta. It’s literally so good, you would think it had caffeine if you didn’t know better. 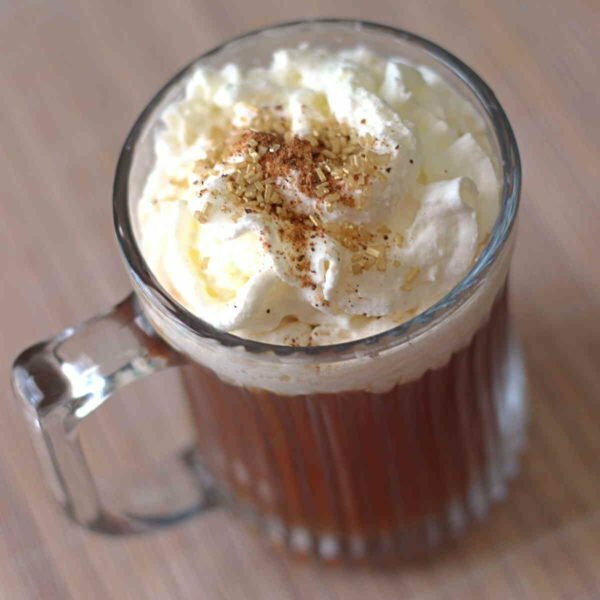 If you enjoy this drink, be sure to check out Irish Coffee, which features coffee with Irish whiskey and, optionally, Irish cream. And Almond Chocolate Coffee, which blends amaretto and creme de cacao with coffee. Pour the Licor 43 and coffee into an Irish coffee mug. Put whipped cream on top and sprinkle cinnamon or chocolate sprinkles on top.